 Objective The aim of this study was to examine the risk of work injury across shift work types in a ­representative sample of Canadian workers. Methods We used the Survey of Labour and Income Dynamics to investigate trends in work injury by shift type between 1996–2006. Work injury was defined by receipt of workers’ compensation. Logistic regression was used to estimate the risk between shift type and worker injury after adjusting for potential confounders. Results The rate of work injury decreased overall between 1996–2006, but did not decline for night shift ­workers. Night shift work was associated with work injury for women [odds ratio (OR) 2.04, 95% confidence interval (95% CI) 1.13–3.69] and men (OR 1.91, 95% CI 1.21–3.03), while rotating shift work was associated with work injury for women (OR 2.29, 95% CI 1.37–3.82). The excess risk of work injury attributed to shift work was 14.4% for women and 8.2% for men based on population attributable fraction estimates. Conclusions Rotating and night shift workers appear to have a higher risk of work injury, particularly among women. Regulatory agencies and employers need to identify and mitigate factors that give rise to increased work injury among these types of shift workers.